Door hinges manufactured from a pulled profile, that give the best strenght and stability. The core is made of stainless steel. The door hinges is supplied with a ball bearing, that secure a smooth and frictionless opening and closing of even very heavy doors. Hinges exist in 4 different sizes - 2 with squared corners and 2 with rounded corners. 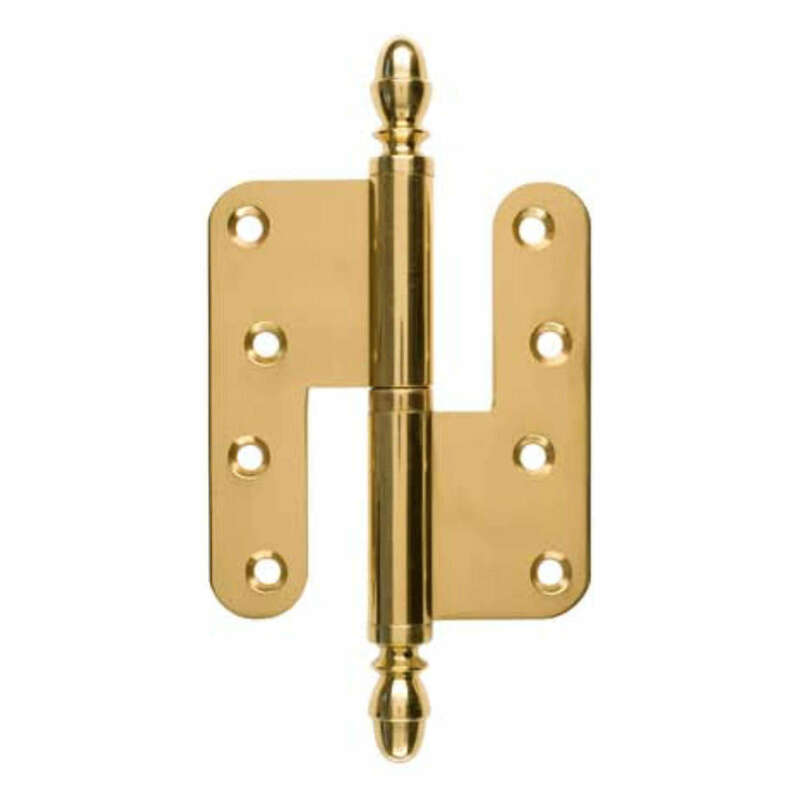 These hinges is delivered standartly with either flat or rounded hinge endings - but you can additionally purchase a pointy end knob or an acorn shaped end knob.